With this canvas you will focus on being grateful actively every day. An attitude of gratitude is essential to improve your life. Blue Powerwords - size: 41x31 - produced on beautiful shinny material. 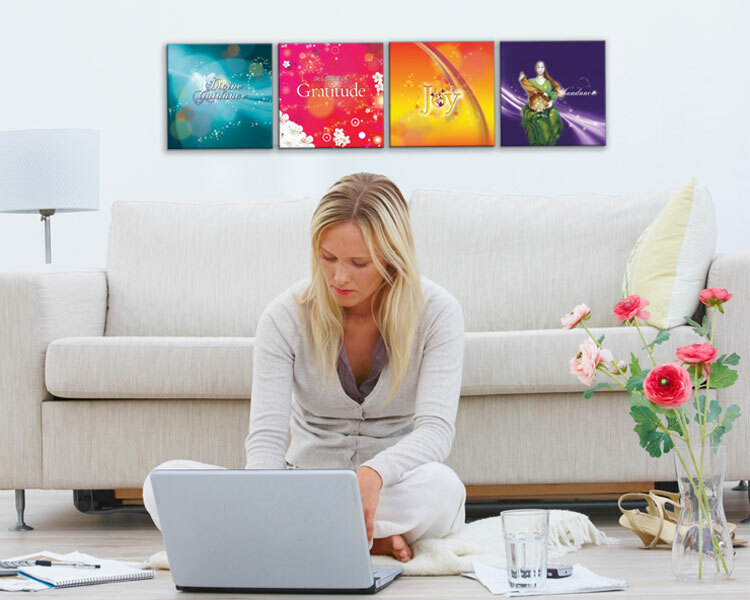 41x31 cm Enjoy life Silk Canvas - to brighten up your life.